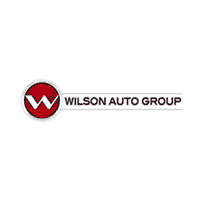 At Wilson Auto Group, we aim to offer the best used vehicle incentives we can. If your daydreams include putting miles in the rearview mirror while you enjoy a spirited ride in comfort, the brands we carry like Dodge, Chrysler, Hyundai, Kia, RAM, Jeep are for you! We know that affordability is important to many drivers, so we make sure to carry a large inventory of these models along with many other quality manufacturers that also know how to craft a long-lasting vehicle. Additionally, these manufacturers’ incentives make it so much easier to take advantage of our quality models on our lot. From the powerful and attractive design of their vehicles to the innovative tech, brands like Dodge bring Jackson drivers everything that they need to make these dreams a reality. At our Jackson used car dealer, we know that car shopping gives you a lot to think about. That’s why we’re constantly offering used car specials and more to help our customers save on the sedans, crossovers, and SUVs that they love. Whether it’s style, capability, space or a combination of all three that draws you to the Dodge, Chrysler, Hyundai, or other nameplates, these automakers’ unfailing commitment to quality vehicles is clearer today than ever before! That’s why we’re confident you’ll find plenty of used cars on our lot to choose from, including from many other brands. Our used cars specials promise big savings on the models you love. In fact, these models have been inspected and stamped with our seal of approval. That means that you not only will save on your ideal newer car, but you’re guaranteed a newer car that holds up the quality namesake of the manufacturers we carry. Drivers in the area now have the best, one-stop shop for the best lineup of used cars in Mississippi. For more information on used car deals at our dealership, contact us at Wilson Auto Group.